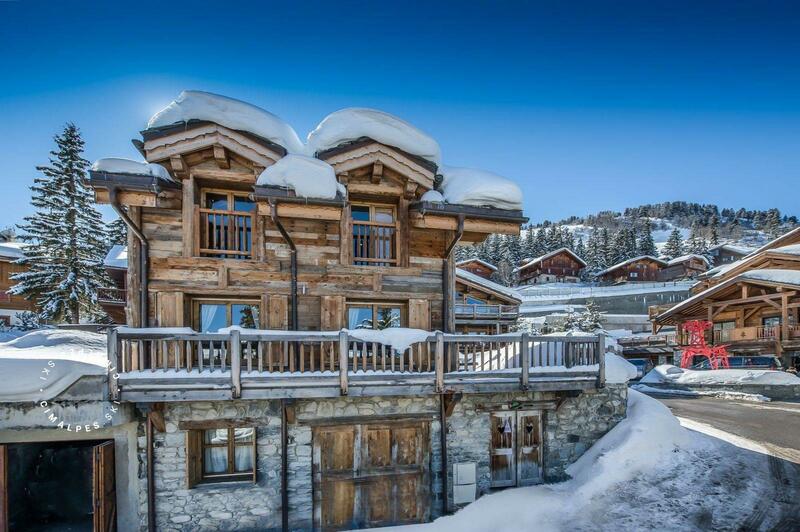 The Chalet Ajacour is located in the well sought after area of Chenus. 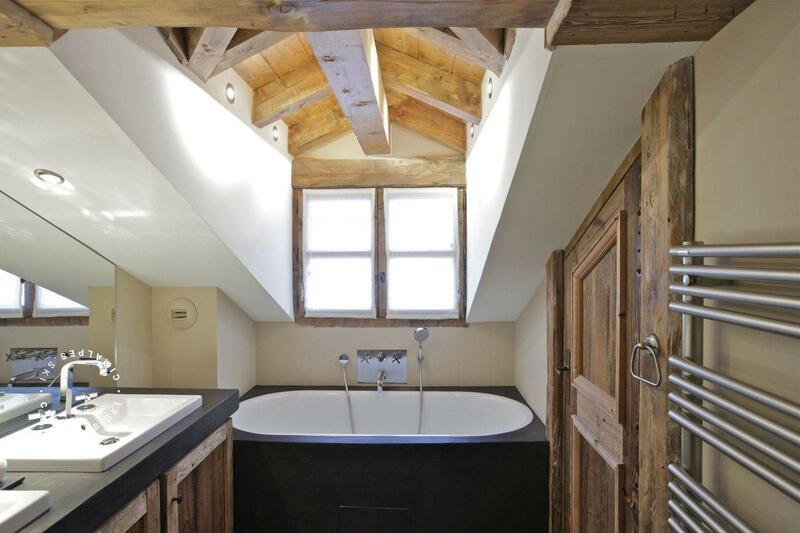 It is a family chalet constructed in an authentic Savoyard spirit. 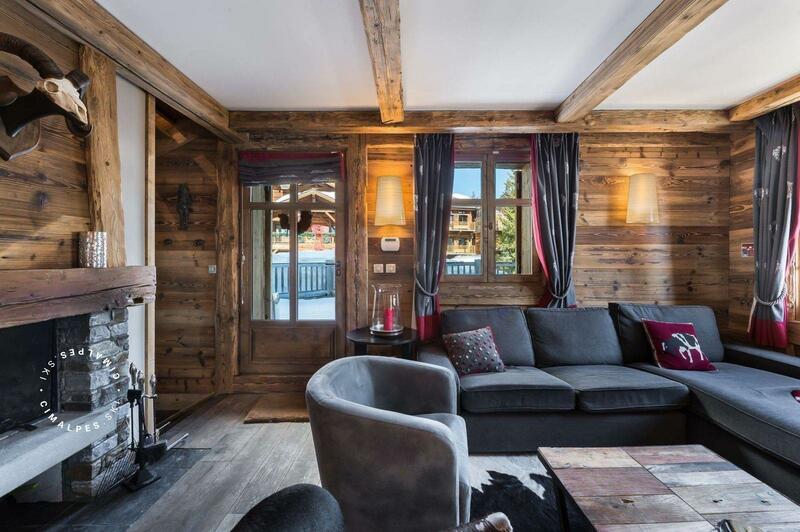 This family chalet enjoys a privileged location in front of the hotel La Sivolière and close to the Dou du Midi slope. 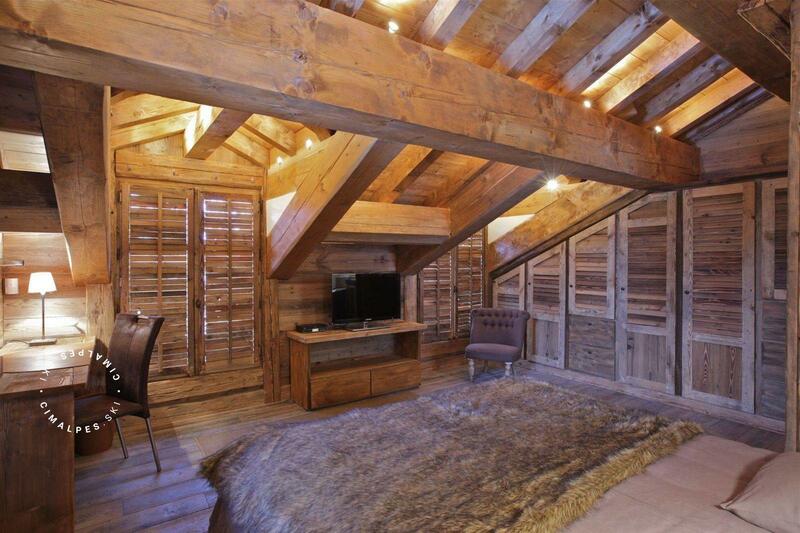 The family chalet Ajacour is one of the few high-end chalets in Courchevel 1850 to have kept this mountain spirit. 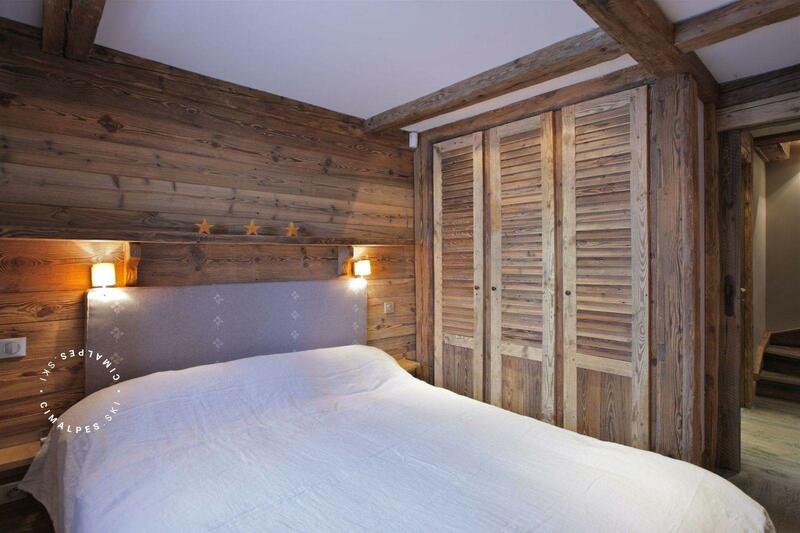 The old wood that covers the walls of the chalet is still working and you can hear it crack when the children are asleep and all is quiet. 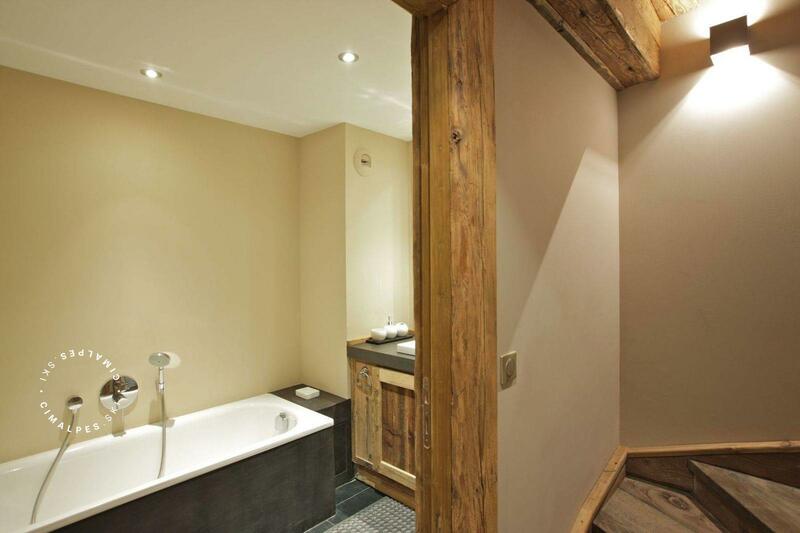 The decor is authentic but sublimely mixed with modern elements and contemporary materials. 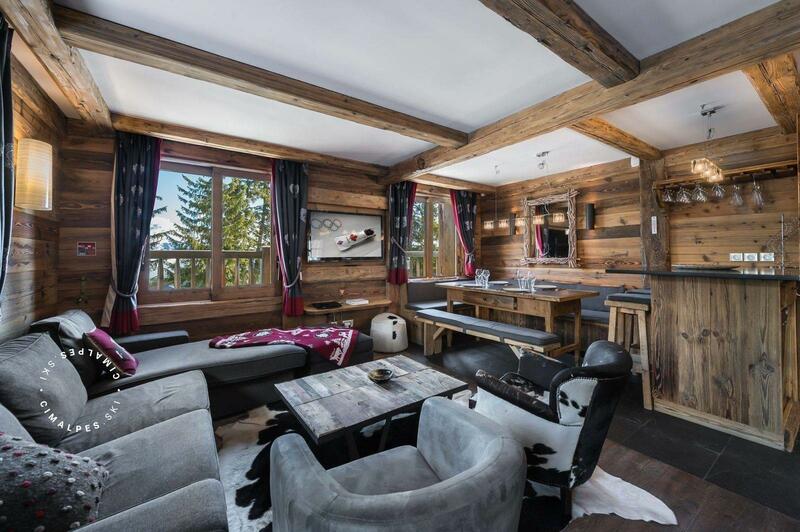 The brushed stainless steel and glass fixtures refine the big armchairs covered in cow skin in the lounge. 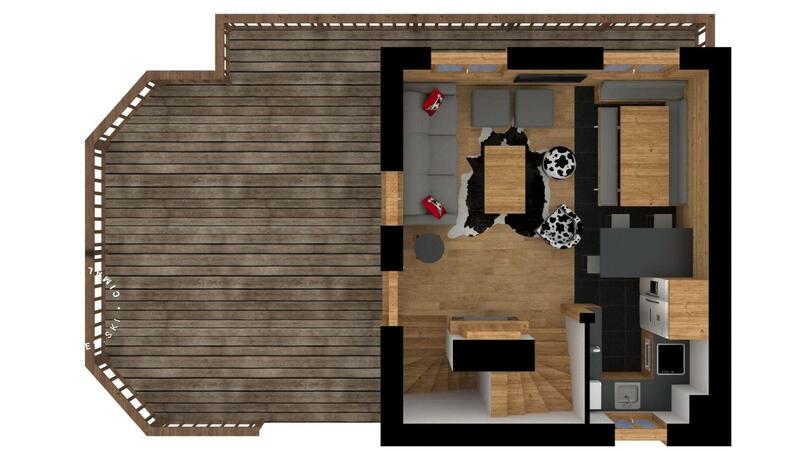 The imposing stone and wooden fireplace will bring warmth to the lounge on cold winter evenings. You will appreciate the nice volumes and the equipment the chalet Ajacour has to offer. 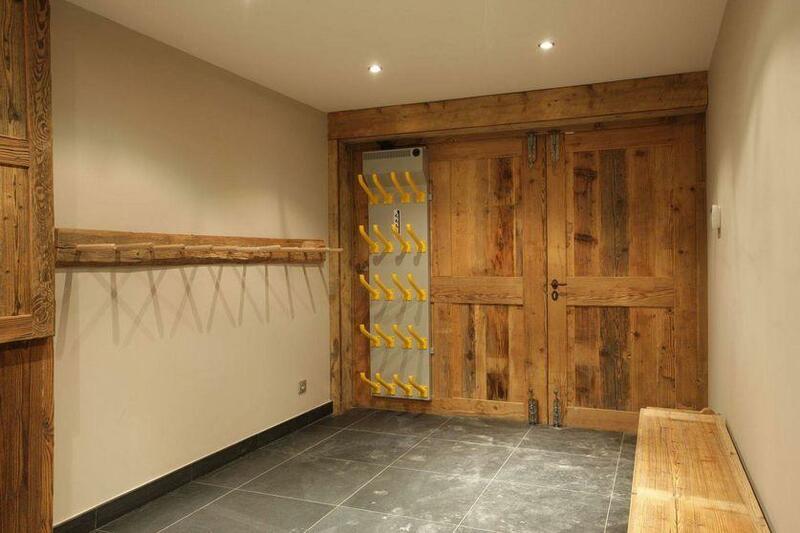 Ideal for family with children. 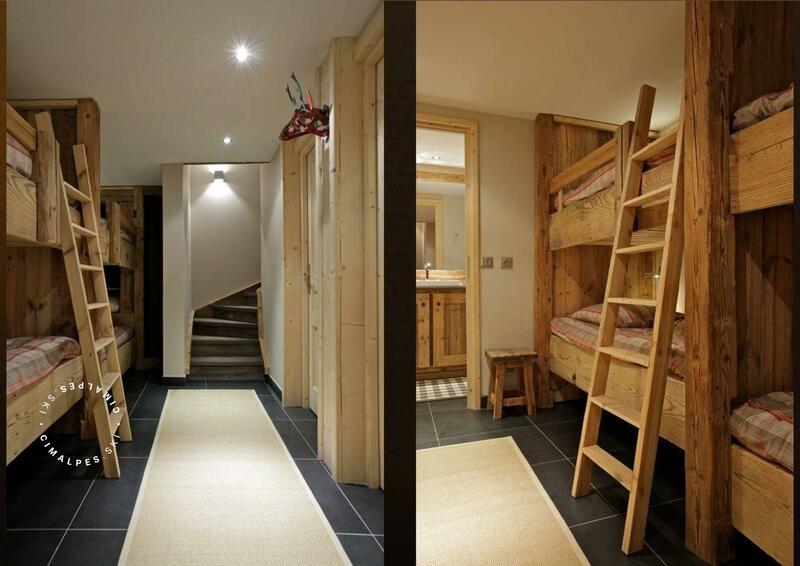 Level -2 of the chalet has a mountain corner with two sets of bunkbeds which can sleep four children after a long day of skiing. 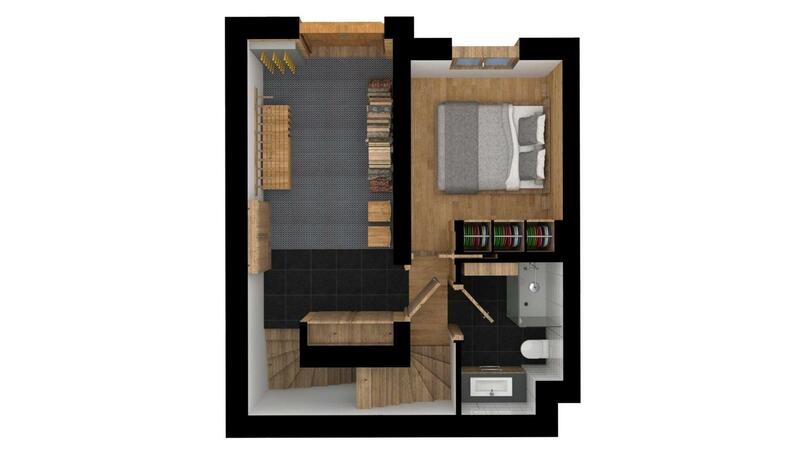 On level -1 of the chalet, you will find a doble room while on the first floor, a sumptuous master bedroom will delight the parents of the family. 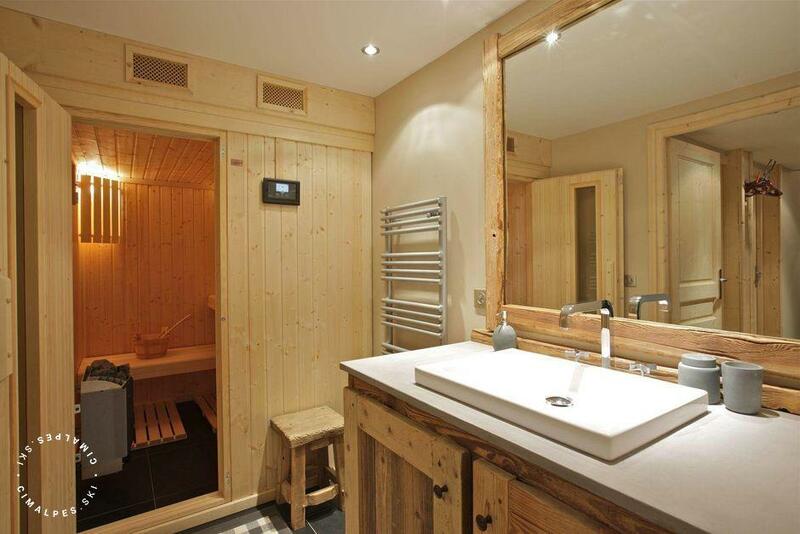 The chalet Ajacour is equipped with a sauna, a private ski room and a kitchen opening onto the living room: all the comforts of a modern home in an authentic family chalet with refined decoration and contrast is what makes the Chalet Ajacour unique to Courchevel 1850 . 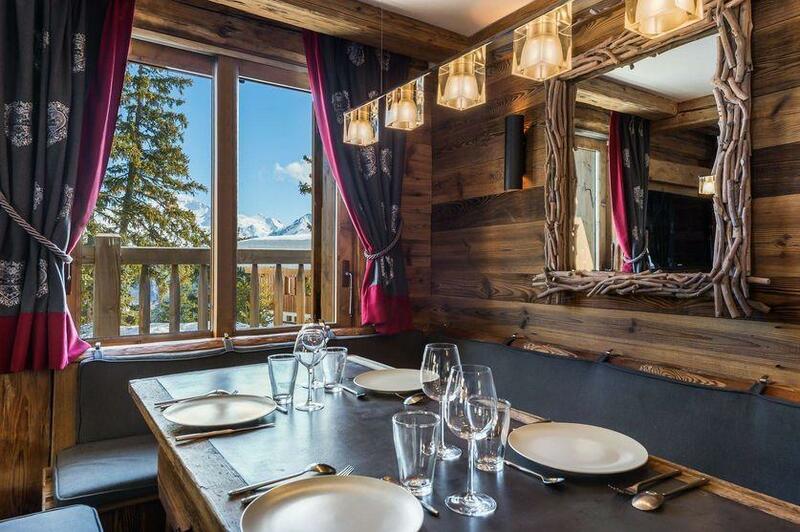 The Ajacour chalet is a family chalet on human scale, it is ideal for families seeking an authentic chalet near the resort centre and the ski slopes. The Chenus is an authentic area in Courchevel with its beautiful chalets. 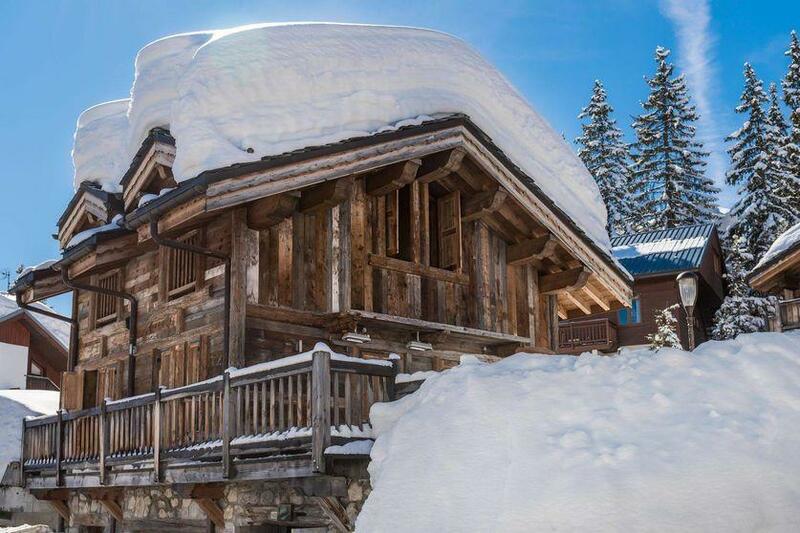 You can access the ski slopes Slalom and Plantret by foot from the chalet Ajacour. 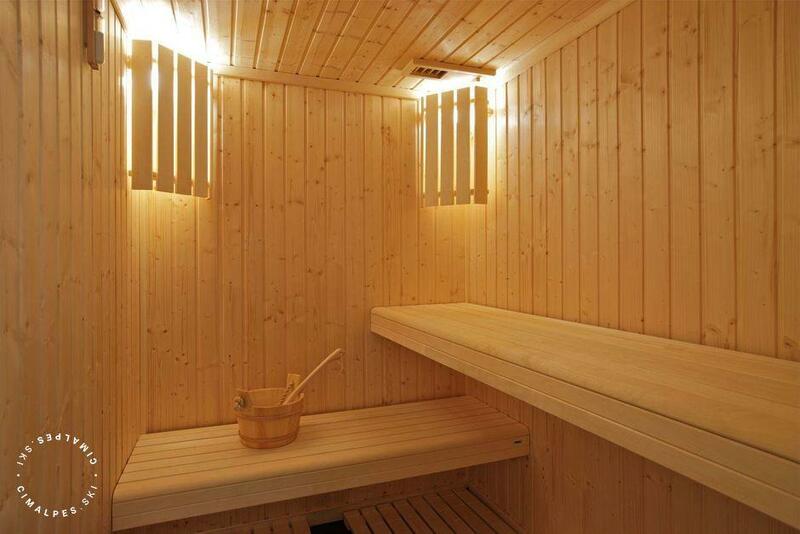 A sauna and a laundry are accessiblesfrom the children bedroom. 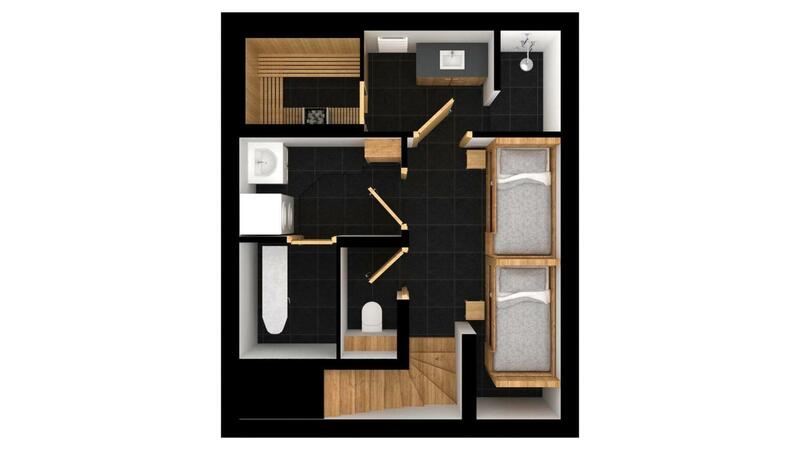 Leisure areas : A sauna and a laundry are accessiblesfrom the children bedroom. 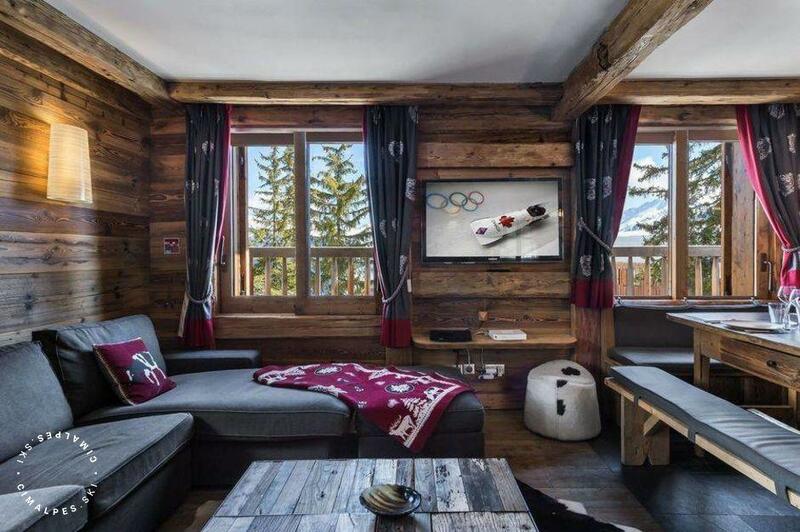 Living area : The living area is cosy and decorated with a savoyard theme. 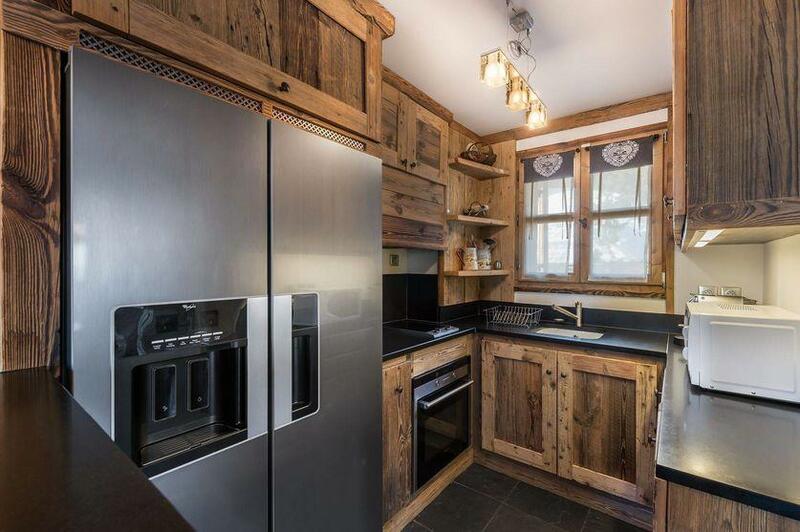 It features a well fittied kitchen, a lounge and a dining area. The fireplace will warm up the chalet on very cold nights. 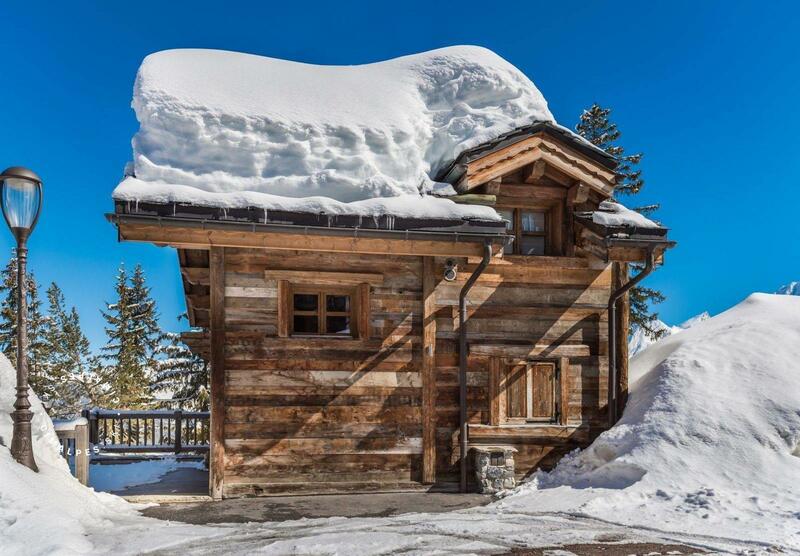 The Chalet Ajacour is located in the Chenus area, only 150 meters from the famous Slalom ski slope. 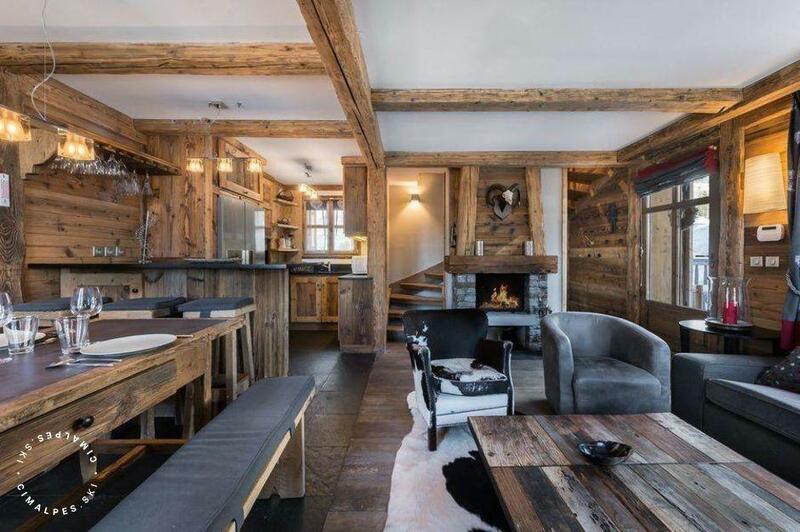 This newly built chalet is decorated in a traditional Alpine style and ideal for family ski vacations. 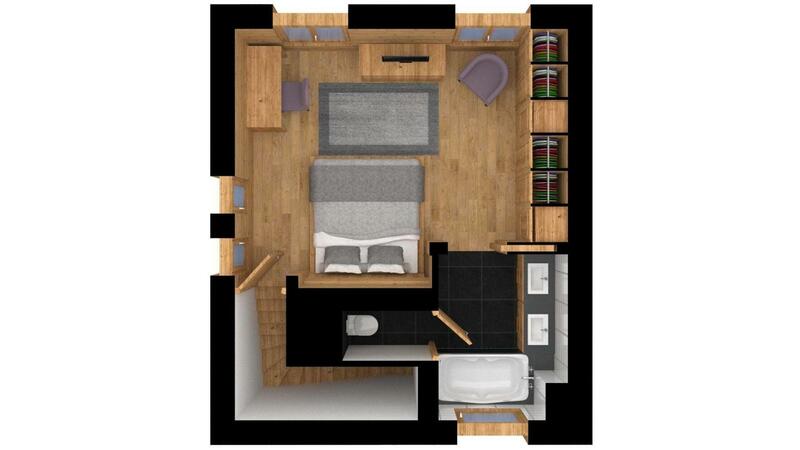 We were looking for the ideal family chalet and Cimalpes highly recommended the Chalet Ajacour. We were delighted and had a lovely stay in Courchevel.